The 5th Management Committee and Working Group meetings took place last week at the University of Murcia in Spain. 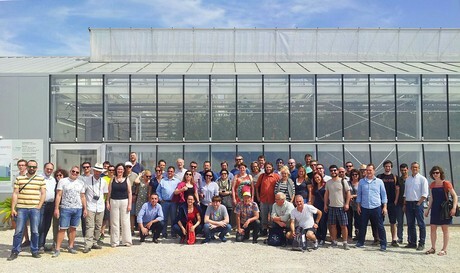 The three day event started with a field trip to the Murcia Oceanographic Centre and to the Tilamur INAPRO Project demonstration aquaponics facility. Day 2 saw more than a hundred delegates at the ‘aquaponics.biz’ conference on aquaponics SMEs. The presentations are available here. The day concluded with the first Annual General Meeting of the Association of Commercial Aquaponics Companies (ACAC). Day 3 was devoted to the Management Committee and Working Group meetings.